Welcome again! 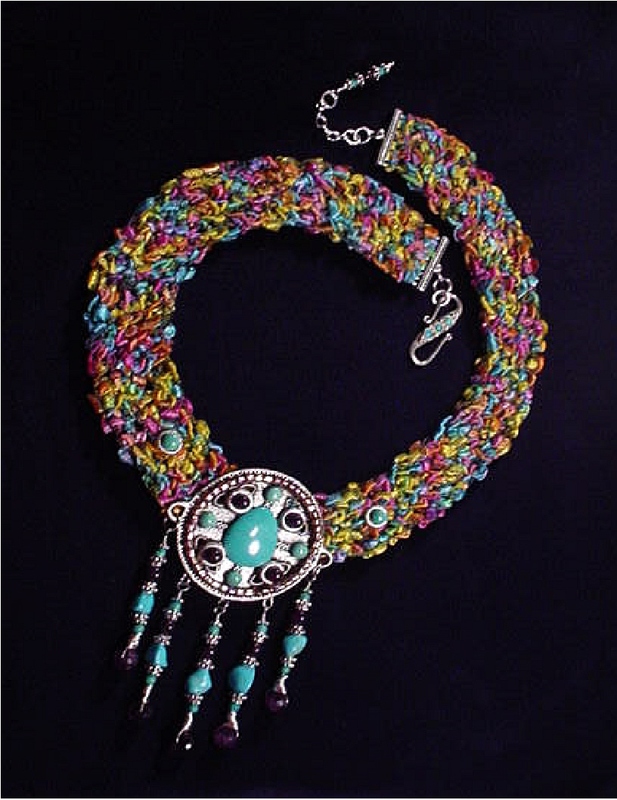 Mixed Media Artist, Mary, has initiated a new line of jewelry mixing beautiful turquoise stones, sterling silver, and other materials with crocheted fabrics. This new collection will fall under the category of "Beaded Fiber Jewelry". These new jewelry collection will be located at Handcrafted Jewelry Page 3. Description: A special order from Cleopatra, and also Nefertiti wants it too!Handcrafted crochet with fibers. Metal Silver medallion. Chinese, Kingman, Sleeping Beauty Turquoise and A Grade Amethyst. Sterling Silver findings and clasp. Limited production. 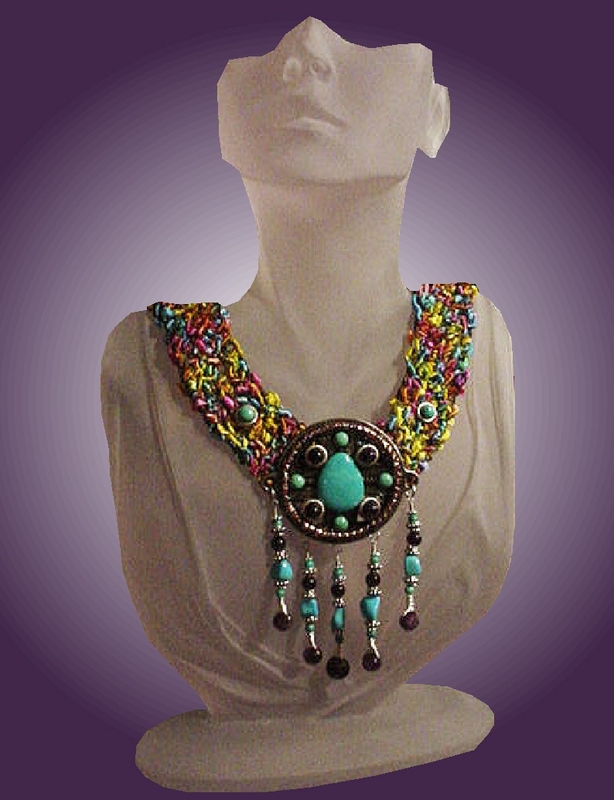 All Handmade Home Decor Crafts & Handcrafted Jewelry - MJ Crafts Design Studio features the Eggypiece Art Collection, beautiful and funny FIMO Polymer Clay creations, and many more 100% handmade crafts made out of ceramics, porcelain, wire, beads, and polymer clay. Very unusual! PayPal and Family Friendly. Come and Visit Us! New Handmade Christmas Crafts coming very soon!! !